The RTL Group has fully acquired United Screens, the leading multi-platform network in the Nordic countries. The transaction, which closed on 2 January 2018, provides for a price of SEK 120 million (€12.4 million) on a debt and cash-free basis subject to usual post-closing adjustments. Additionally, RTL Group plans to invest SEK 25 million (€2.6 million) to fund the company’s growth plan across the Nordic region. Bauer Media UK is to acquire the Absolute Radio business from Times of India. The terms of the deal were not disclosed. 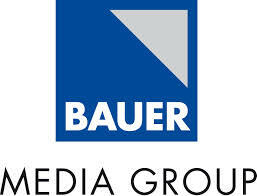 The FT is reporting that Bauer paid between £20 and £25 million. Times of India Group acquired Virgin Radio for £53.2m in 2008 before rebranding it as Absolute. Radio One Inc. though its wholly owned subsidiary Radio One Media Holdings has completed the purchase of shares of broadcaster Reach Media Inc. from minority shareholders worth $2 million. This transaction has increased its stake in Reach Media to approximately 80% from 53%, giving the firm an implied valuation of around $7.4 million. Reach Media Inc., founded in 2003 by Tom Joyner and David Kantor is a cross platform media company which produces radio programmes, websites, events and initiatives targeted towards African-Americans. Its most popular show “The Tom Joyner Show” is aired in over 100 markets and reaches an audience of over eight million listeners. Following the transaction, Radio One is to consolidate its Syndication One Urban programming line up with those offered by Reach Media to make Reach the largest radio network in the US catering specifically to an African-American audience.